Following its crushing defeat before the U.S. Supreme Court earlier this summer, streaming video startup Aereo tried to stay alive by arguing that since the court said it was acting like a cable company, it should then be considered a cable company. Alas, a federal appeals court has decided not to hear this debate, possibly hammering the final nail into Aereo’s coffin. 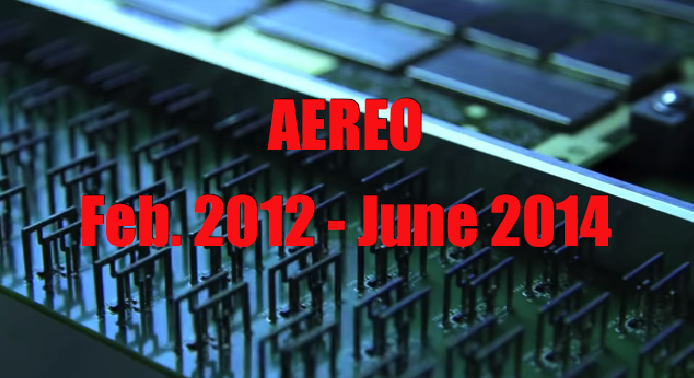 Aereo had originally claimed that its service — which uses arrays of tiny antennae to capture freely available over-the-air broadcast signals and then transmit the live feeds over the Internet to paying users — didn’t violate broadcasters’ copyright because the setup was really just a high-tech rooftop antenna, connecting one user with a single wee antenna. But a divided SCOTUS disagreed, with the majority ruling that what Aereo was doing was not substantially different from the way in which pay-TV operators collect and retransmit over-the-air network feeds to cable customers. Thing is, those pay-TV companies fork over heft fees for that access while Aereo did not. And so, when the Aereo case was sent back to the lower court, the company tried to make the argument that it should be allowed to operate if it agrees to pay reasonable retrans fees to the broadcasters. But then on Thursday, the United States Court of Appeals for the Second Circuit filed a document showing that it had denied Aereo’s request to make its “we’re a cable company” argument, sending the case back to the District Court and vacating that lower court’s denial of a preliminary injunction against Aereo. Not that the injunction matters, as Aereo ceased streaming video and began issuing refunds only days after the SCOTUS ruling in June. Aereo could still take the case with broadcasters to trial and make the cable company argument there, but that seems unlikely at this point.